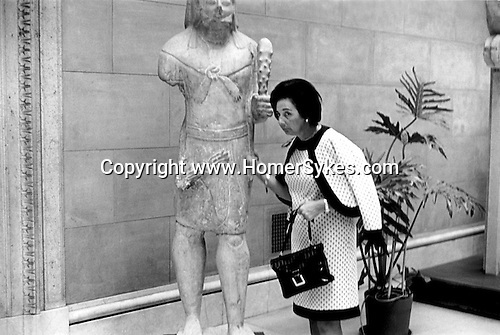 A woman knocks on a ancient statue to check if it is stone or wood. New York 1969. USA Its stone. .